Several copies of the book are on reserve in the Wells Library (one-day loan period). A second book discussion, led by Professor Andrés Guzmán (Spanish and Portuguese), will be hosted by the Monroe County Public Library on March 24 at 2:00 pm. 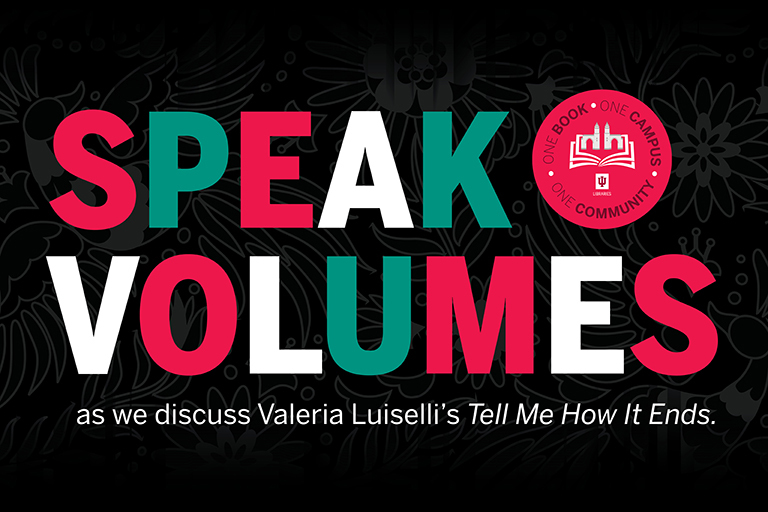 Reserve your free ticket for "An Evening with Valeria Luiselli" at the Buskirk-Chumley Theater on March 28 at 7:30 pm. And don’t forget to visit Tell Me How It Ends: Background and Foreground – An Exhibition, currently on display in the Wells Library lobby. Celebrating Mexican history and culture, this two-hour program will feature displays of artist books, chapbooks, popular music, maps, costumes, photographs, books, posters, games, and films drawn from library and campus special collections.